Combine your trip between a stay on the private Ankazoberavina island and a catamaran liveaboard cruise through the Northwest Madagascar islands . Our liveaboard are from Moramba Bay south of the Radama to “La baie du Courrier” north of Mitsio islands. The stay on land takes place on the private island of Nosy Ankazoberavina. Bordered by clear waters rich in fauna and flora, Madagascar is primarily an island, and to discover it there is no better than a stay including a trip to sea. The stay on land is on Ankazoberavina island and the stay at sea is “a la carte” according to your choice, and of course, depending on weather conditions. For example, you can liveaboard on a cruise to the north to discover the islands of the Nosy Hara archipelago and finish your stay on land; or even head for the southern islands to Moramba Bay, one of the most beautiful bays in Madagascar, then finish your stay in Ankazoberavina and enjoy the last days to relax. 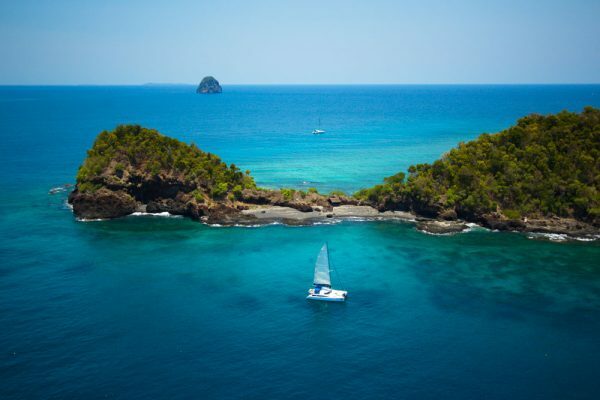 You can also combine a week on land, to decompress, then a second aboard our catamaran for a breakaway to the Mitsio Islands or the Radama Islands. Your journey between land and sea can be organized in the order you want. You are free to choose the northern islands rather than the southern ones, and vice versa. Or to extend your stay at sea by going further to the islands of the “Baie du courrier” to the north, or the islands of Moramba Bay to the south. Our ecolodge is located on the Ankazoberavina island. It is a private island, total paradise, where you will live an exclusive stay; real small reserve, where you will meet lemurs maki macaco, but also the eagle fisherman, the Ankoay in Malagasy. You can observe it in its natural environment from the top of a bungalow perched in a tree. 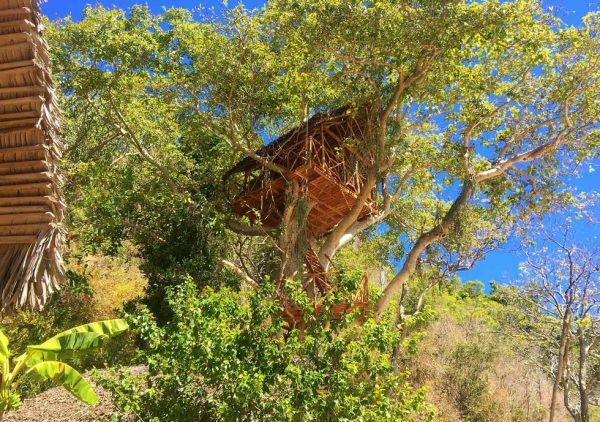 Our bungalow in the tree, an ideal observatory. Our scuba diving center will allow you to discover the magnificent grounds that surround the island. Regularly, sea turtles come to lay overnight on the shores of the island, with a little luck, you can attend one of these magical moments. 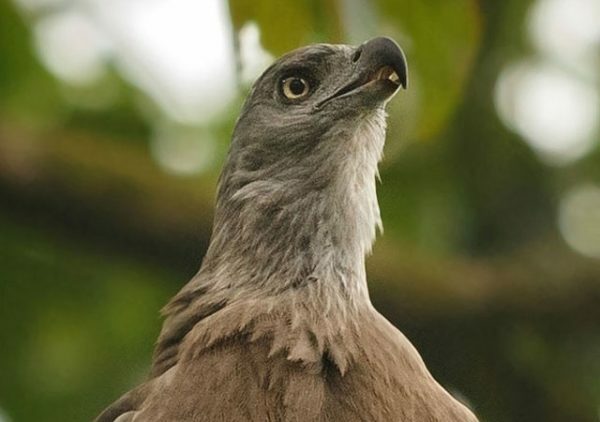 The fishing eagle of Madagascar – Ankoay – Halietus vociferoides. 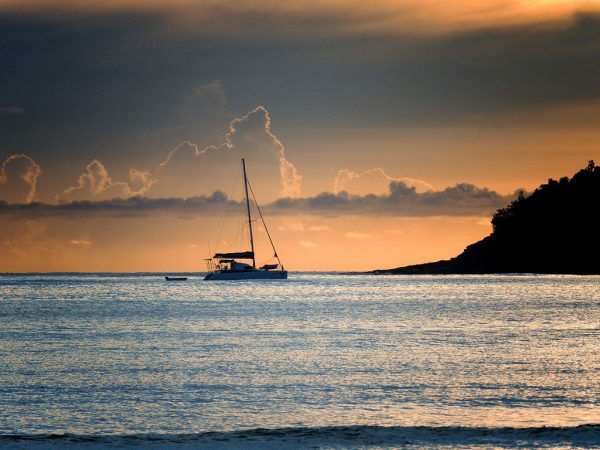 Then you will board one of our catamarans for your cruise. You will discover the wonders of the Indian Ocean, with beaches of white sand and crystal clear waters. Ulysse Explorer – Departure on a cruise. 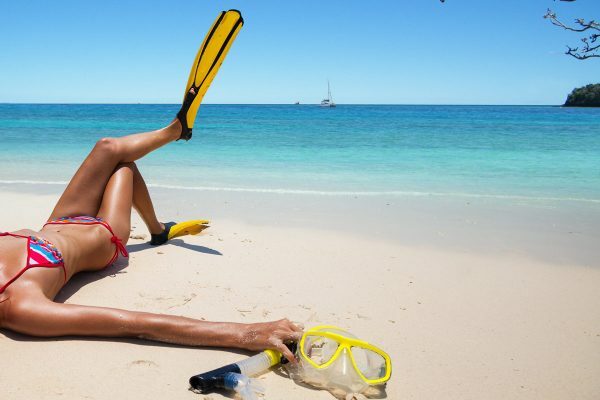 You can also discover the seabed snorkeling or even scuba diving with an experienced monitor. At season, you could see humpback whales, many dolphins and even during the months of July to December, you will enjoy the unique experience of swimming with whale sharks. A magical and unforgettable stay, to discover the wonders of the northwest coast of Madagascar. An invitation to dream. Zen relaxation facing Ankazoberavina Island.